A guest blog from our Christian media partner, Church Times. 2016. Things happened. 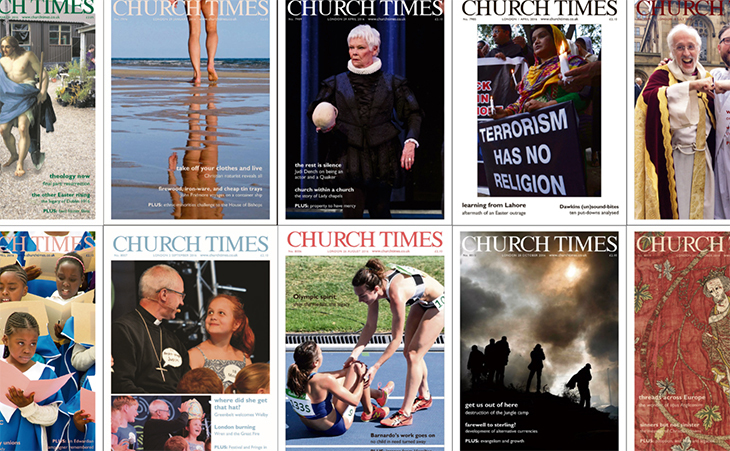 As ever, the Church Times focus has been on professional, independent journalism, exploring Christian perspectives on the big national and international stories. Like others, we tried to make sense of the regime change here and in the US. But there was much more. Over the course of the year our reporters have visited refugee camps in Jordan and Lebanon, sent dispatches from the UN climate summit in Marrakesh, and spoken to priests across the UK on the reactions to Brexit where they are. We also report on the church news you won’t generally find in other papers, whether that’s the work being done by churches in Brazil to combat the Zika virus or church responses to health inequality closer to home, a nationwide shake-up of lay ministry or the latest from Justin Welby. Somehow we also found time for a major seven-week series on theology, interviews with Judi Dench and Derren Brown (among many others), and an in-depth look at how to live well with dementia. To take out a subscription for yourself (new subscribers only) or to give a gift subscription just visit www.churchtimes.co.uk/christmas or call us on 01603 785911.